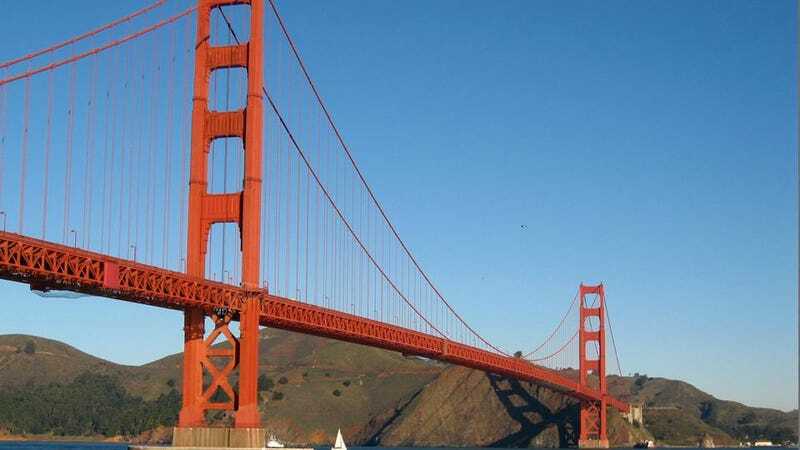 The Golden Gate Bridge is receiving what its caregivers call a major renovation. The task involves repainting the two main suspension cables; something that will take years to complete and is the first such work done to the cables since the bridge opened in 1937. According to KGO, maintenance workers have to first scrape the old paint off the cables—which are responsible for holding the bridge in place—and vacuum those chips up. Then workers will go and slap a fresh coat of that famous red paint on the exposed steel. Under normal circumstances, only touchup paint work is carried out. This job, which is vital to the preservation of the bridge, will be completed in sections. In addition to making the bridge visually appealing, the paint protects the cables—which house 80,000 miles of wire—from corrosion. It's important the cables are kept in good shape because they're the primary support which holds the bridge is in place.